If you intend to buy rare or bullion coins for investment, your best protection is to spend time learning about the coins you are being asked to buy. In the past, most investment gains have gone to collectors, often known as numismatists, who have taken the time to carefully study various aspects of coins, including rarity, grading, market availability, and price trends. Investment success over the years is the result of prudently acquiring coins of selected quality, proven rarity, and established numismatic desirability. Many careful buyers study coins for some time before buying even a single coin. Success also can be enhanced by researching dealers, as well as coins. If you receive any solicitation about investing in coins, keep these points in mind. Use common sense when evaluating any investment claims and do not rush into buying. Make sure you know your dealer's reputation and reliability before you send money or authorize a credit card transaction. If you can, find out how long the company has been in business. Don't rely just on what a dealer's representative tells you on the phone. For example, if a dealer claims to be a member of a professional organization, call the organization and make sure that the claim is true. If you cannot confirm the reliability of the dealer, or even the "professional association", consider investing with another firm. Do not be taken in by promises that the dealer will buy back your coins at or for more than the price you paid or that grading is guaranteed unless you are confident that the dealer has the financial resources to stand behind these promises. Many of the coin sellers prosecuted by the Federal Trade Commission in the last several years have not been able to meet guarantees and other obligations to their customers. It is wise to get a second opinion from another source about grade and value as soon as you receive your coins. So, before you buy, find out what remedies you will have if the second opinion differs. For example, some companies offer a 30-day return period if you are not satisfied with your purchase. Check the information that you are given. Will the full purchase price be refunded or will you be given a credit to be used for the purchase of other coins? If a dealer promises to buy back the coins at the same grade at which they were sold, does that mean at the price you paid or at some discounted amount? Check the grades of any coins you buy with an independent source. Be cautious about grading certificates and "slabs," especially those furnished by coin dealers. Many of the third-party grading services encapsulate or "slab" a coin in an acrylic holder with a grading number. This can protect the coin from further damage and reduce the chances of having a coin of a lesser grade substituted for one of a higher grade. If you use a grading certificate or slab as a second opinion, be sure you understand what they represent. Grading is not an exact science, and a certificate or slab represents no more than the opinion of the certification or grading service. Find out if the grading service is indeed independent of the dealer, what grading standards the service used, and what is the service's reputation in the industry. Also because grading standards vary, coins certified by different services will be worth more or less than other coins of the same grade. Weekly periodicals or sight-unseen trading networks list prices for coins that have been certified by various services. Check the prices for those coins you are considering. Comparison shop. You need to be concerned not only with grades, but with prices as well. Consult several dealers before buying. Check prices in leading coin publications or sight-unseen trading network lists to make sure you are not being overcharged. Sight-unseen coin trading networks offer only the lowest-priced bids being offered for coins. Several publications list representative wholesale values for fine coins of various issues and grades. These values generally are higher than the prices consumers can expect to receive if they were to immediately sell their coins, and lower than the retail prices consumers may be charged to buy the coins. Consult such publications prior to trusting dealers' representations about the current value of coins. If a dealer's advertised price is much lower than the price listed in these publications, then the dealer may be misrepresenting the quality or grade of the coin. Take possession of any coins you purchase to ensure they exist and to be sure that they are properly stored. As with any consumer purchase, be wary about giving your credit card number to strangers, especially over the telephone. The fact is: It is very difficult to identify fraudulent sellers of rare and bullion coins because they often look like legitimate dealers. 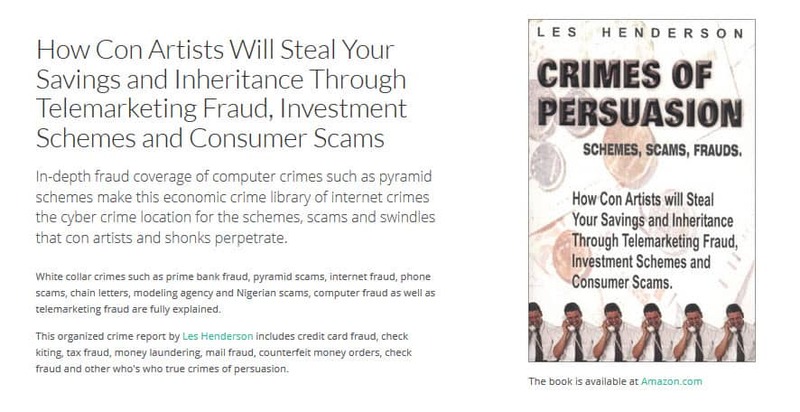 For example, fraudulent sellers frequently have elegant offices in the financial districts of major cities, employ "account executives" or "investment counselors," and produce glossy, attractive brochures on investment strategy. They may claim to have leading coin experts on their staffs, or claim to be the largest or finest dealers in the business. Because fraudulent sellers often appear to be reputable, it is particularly important to check the information you are given. Also, fraudulent sellers of rare and bullion coins often use many of the same techniques as legitimate dealers to attract buyers. Some advertise in newspapers and magazines and sometimes meet prospective clients through financial planners and insurance agents. Others use a popular sales method known as telemarketing. For example, you may be approached about coin investing through an unsolicited telephone call, or you may be called after you have responded by mail to an advertisement. Because telemarketing fraud has grown rapidly over the last several years, you should be particularly careful about committing yourself to any purchase from an unsolicited caller. Recently, some fraudulent sellers have been using multi-level marketing systems, also known as pyramid schemes to sell coins. Listed below are some sales techniques commonly used by dishonest dealers. Usually, the value of a rare coin is determined by its grade and rarity, so it is very important that the rare coins you buy are graded correctly. The grade of a rare coin is a shorthand method of describing its condition. Because grading includes such factors as "overall appearance" and "eye appeal," it necessarily involves some degree of subjectivity. As a result, the grade assigned to a particular coin may vary even among legitimate dealers, especially in the higher, investment- quality grades where distinctions in condition are more subtle. Because the fine distinctions between grades often mean large differences in the value or price of a coin, the subjectivity in grading means that there is some inherent risk in coin investing. Fraudulent sellers, however, often intentionally inflate the grades of the coins they sell, charging prices many times the coins' actual value. For example, you might pay $450 for an 1882-S Morgan dollar, that was described to you as having a high grade because of its excellent condition. Later, however, you may find that the accurate grade for the coin is two or more grades lower, and that the coin is actually worth only $50. Prior to the advent of independent certification services, false grading was the most common form of rare coin fraud. Many consumers and financial planners use third-party grading or certification services to verify grade before they buy. These services "certify" coins as to grade and usually encapsulate them in a "plastic" holder with some form of grading certificate or "slab." However, consumers can lose money even when a certification or grading service is used. Certification services provided by dishonest coin dealers too often are part of fraudulent sales schemes and are intended to mislead consumers. In some instances, even certificates or slabs from legitimate services can be misleading. For example, some certification services use looser standards than those generally accepted by dealers in the rare coin market. As a result, the coins they certify may be worth less than other coins of the same grade. There are special pricing publications and sight-unseen trading networks for coins certified by major services. Before you buy any certified coin, make sure that you check its current value in one of these sources. Some fraudulent sellers may use an old certificate to mislead you into believing that a coin's grade is accurate by today's standards. Check the date of any certificate or slab you are offered and investigate the certification service before you commit to a purchase. Some dishonest sellers of rare coins grade their coins accurately, but mislead consumers about the value of their coins. In other words, they overprice their coins, charging significantly more than a coin's actual value even though the coin is accurately graded. For example, they may charge $5,000 for an accurately graded $10 Indian gold piece, which has a current retail value of only $1,750. False claims about value are becoming increasingly common in rare coin fraud. Despite statements to the contrary, there is a great deal of risk in coin investments. If you are not knowledgeable about coins, you may lose all or most of your investment. Dishonest dealers often mislead buyers by quoting appreciation rates for rare coins from an index formerly compiled each year by Salomon Brothers, a New York investment bank. These quotes show appreciation of 12 percent to 25 percent a year. However, the Salomon index was based on a list of twenty very rare coins, while the coins sold by dishonest dealers are more common coins that are not likely to appreciate at the same rate, if at all. However, almost all dealers, legitimate and dishonest alike, have used the Salomon quotes. Therefore, it is particularly important that you choose your dealer carefully. Remember, there is no guarantee that any coin will appreciate in value. In fact, coins as an investment have been stagnant for the last several years. Technically, bullion coins are not "rare" coins because their values are determined principally by their gold or silver bullion content, rather than by rarity or condition. The best known bullion coins are the U.S. American Eagle, the Canadian Maple Leaf, and the South African Krugerrand. These coins are bought and sold worldwide through banks, brokerage firms, coin dealers, and precious metal dealers, who offer competing prices for the coins. Bullion coin prices change daily depending on the varying prices for gold and silver in the world markets. Fraudulent sellers of bullion coins often overprice their coins, or mislead consumers about the coins' bullion content. When purchasing bullion coins, call several reputable dealers or brokerage firms to compare prices and be sure to ask about any additional transaction or delivery costs. Fraudulent sellers also mislead consumers into buying "coins" that are not really coins at all. Make sure the bullion coins you purchase are not imitation medals created by fraudulent "mints." Some private mints issue bullion pieces with the same design as coins from the U. S. Mint, but in different sizes. To make sure you know what you are buying, your best protection is to study the bullion market before you buy, and to choose your dealer carefully. If you have a problem with a coin dealer, and the dealer has not resolved the problem to your satisfaction, there are a number of places you can go from help. Some dealers will resolve disputes through binding arbitration by an independent third party, usually through one of their professional organizations. Consumer protection agencies, including the Federal Trade Commission, are interested in getting your complaint information to build cases against fraudulent dealers. Although most government offices are not able to resolve individual disputes, they can usually give you sound advice about how to proceed. Most coin organizations can help you if the dealer is a member of their organization. The following list of organizations and government agencies is provided for your information. The American Numismatic Association ("ANA") is a non-profit organization of collectors, but many dealers are also members. The ANA provides many educational programs for both novice and experienced collectors. If you have a complaint about an ANA member, you can write to the Association at 818 North Cascade Avenue, Colorado Springs, CO 80903. Industry Council for Tangible Assets ("ICTA") is a national trade association of coin and precious metals dealers. ICTA urges its members to subscribe to a program of binding arbitration administered by the American Arbitration Association (AAA). It also keeps records of other programs of arbitration or mediation its members adhere to. If you have a question whether or not an ICTA member subscribes to the AAA program or another, you may write to ICTA at P.O. Box 1365, Severna Park, MD 21146. The Professional Numismatists Guild ("PNG") is an organization of coin dealers and numismatists. Membership in PNG is selective; to qualify, a dealer must have a minimum number of years experience and meet a minimum net worth requirement. The PNG also requires its members to submit to binding arbitration in order to resolve complaints filed by consumers or other dealers.